After last Wednesday night’s episode of Location Location Location Australia I was on The Lifestyle Channel’s Facebook page answering viewers questions about buying and selling property. There were some themes in the questions and following is a sum-up of my answers. When it comes to investment, where are the best areas for capital growth? 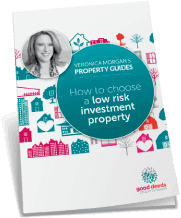 I like to play it safe with property investment and get very concerned about the risk people are prepared to take in that quest for capital growth. To that end I encourage people to buy in safer areas with more guaranteed growth potential, such as within a 10km radius of Sydney or Melbourne’s CBD. But of course it depends on your budget. If you have a limited budget and cannot afford to buy in these areas, there are other investment options. You know, $150K or $200K is a lot of money if you are buying shares but not much if you are buying real estate. I am not a fan of positive cash flow property, but that’s what you’d be looking at with that sort of budget. And with that comes loads of risk, which I am guessing most people on tight budgets might like to avoid??? I’d recommend talking to a financial planner about all the options available to you before deciding on property. If it comes down to a choice of a house in the outer suburbs or an apartment close to the city, I must say that I am a true believer of apartments close to the city. In Sydney, the further you are from the CBD, the longer the time periods between market peaks and troughs. If you are looking at buying an investment in a rural or coastal area the first thing I would suggest is to ask yourself what you want to gain from the investment. For example, if it is a lifestyle choice and something you want to live in one day, then you may take a very long term view of a beautiful location. If you want capital growth, I would be careful of buying too far away from a major city. If you want rental yield – look into what rents are achievable and ask local property managers what features are required in a property to get top rents. Should I upgrade in a flat market? Yes! And if you currently own a quality property in an area close to Sydney’s CBD you will always get buyer interest, even in a slow market. And I can encourage you that if you are looking to upgrade now the conditions are ideal. The only way you will know it is the bottom of the market is when prices start to move and by then it will be too late. In a hot market the people who do best are the downsizers. Should I keep my current home and make a modest upgrade or sell up and make a big move? This is exactly the sort of question that plagues so many of our clients before they come to see us. 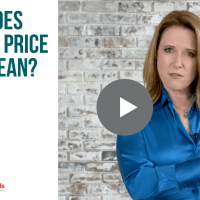 So much of the answer depends on your needs now (do you have kids, how many, if not when are you planning on them…) and your budget now versus if you sold first. Often the compromises you would be making are too great when you compare them against the sort of property you could afford by putting all your eggs in one basket. There are also tax implications, so I strongly advise you speak to your accountant before making a final decision. 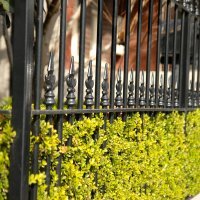 What improvements should I make to my property before selling? I think the best person to give you advice is a trusted local agent who will know what features buyers demand in your area. Get them around to appraise your property and advise you on the best solution for your house or apartment. 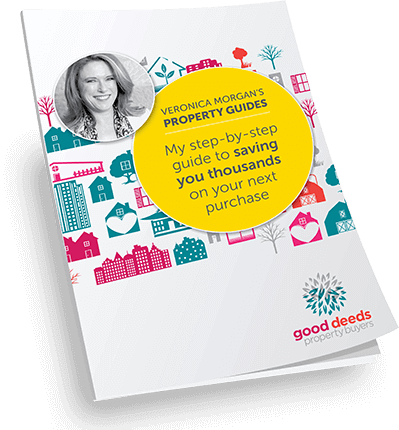 An active local agent deals with buyers all day long and they love an easy sale – so they will point you in the right direction. In many areas I would recommend using a stylist. A good agent will be able to advise on whether this is necessary and recommend one if needed. Depending on where you are it can be normal for property to sit on the market for some time until the “right” buyer comes along and you don’t want to throw good money after bad. So it is a good idea to be cautious before spending your hard earned cash on property improvements to help the sale. How do you find that trusted agent? Look for personal recommendations and someone that sells a lot in your area. The most important thing then is to take their advice!!! Should I make a pre-auction offer? A lot of buyers are keen to make a pre-auction offer purely because they fear auctions. But in the end they run the risk of paying too much. I strongly recommend getting a buyers agent to advise you. But in the absence of that, do your price research and understand what you believe the property is worth before making an offer – forget what the agent is quoting because it will ultimately sell for what it is worth. If the agent is quoting a lot less than you think the property is worth, they will probably get quite a bit of buyer interest and a strong pre-auction offer (in the realm of what you think it is worth) could snap it up and help you avoid the competition of an auction. But if you do this too late in the campaign, chances are that other buyers will be ready to act and you could start o process that ends in an “auction” on the end of a telephone. That is something to be avoided as you cannot see your competition in the way you can at an auction. Conversely, if an agent is quoting more than you think it is worth, chances are that other buyers feel the same way and nobody is prepared to bid at auction. If you are the only buyer to register, you would be in the box seat! A pre-auction offer in this circumstance would be a waste! And remember that your budget is always set before you find a property and each property has to have an individual limit set according to what it is worth. 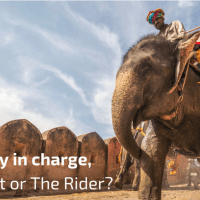 Why bother selling with an agent? I think the DIY sale is fraught with problems. I know real estate agents often get a bad rap – but there are loads of very professional ones who really add value to the sale process. It is so hard to negotiate your own home and buyers often prefer to deal with an agent over the owner. I know it can be tough if you are trying to sell in a slow market. The best thing I can suggest is to find an agent you trust and stick with them. If the agent is not working hard to secure a buyer, sack them and get a new one fast. The same principal applies if you have a property manager that isn’t getting you a tenant. The thing is, you have to engage a professional agent then take their advice. There is always something to be done if there are no offers or rental applications. It is probably a price issue, but there could be maintenance and presentation issues too. If you can’t trust the agent you will never take their advice, so look for the most active one in the area! DISCLAIMER: Please note: Good Deeds buyers tips are intended to be of a general nature. Please contact us for advice that is specific to your individual circumstances. You may also need to get advice from other professionals such as an accountant, mortgage broker, financial planner or solicitor.